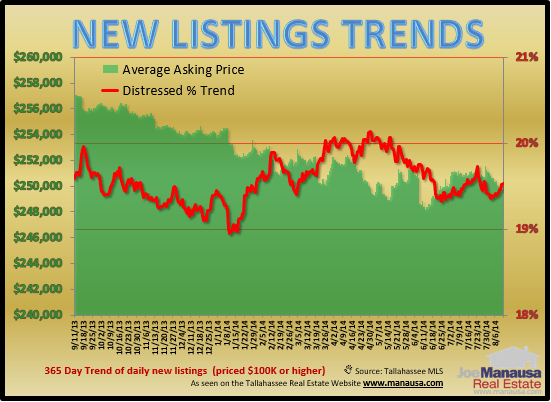 Every year about this time, we see a growth in the number of new listings in the Tallahassee real estate market. The number of homes for sale in Tallahassee typically dips to an annual low in December, and then we see the number of daily listings accelerate for the next six months. We track new listings in the Tallahassee MLS every day and keep a record of all that are priced over $100,000. Over the past thirty days, we have seen an average of 4.5 homes listed each day with an average asking price of $240,000. One year ago, the numbers were very similar. In the real estate graph above, we track the 30 day trend of daily new listings (priced $100K or higher). This simply means that each point on the graph represents everything that happened in the past thirty days, divided by thirty. These short terms trends are useful in finding new directional changes in the housing market while eliminating chaos that would found by graphing daily numbers. The picture is much more clear. The purple bars show the average number of homes listed for sale in Tallahassee (measured on the left vertical axis), while the blue line measures the average asking price for these homes (measured on the right vertical axis). This short term trend analysis is very useful to track seasonal changes and to forecast future movements in the Tallahassee real estate market. As the housing market continues to recover, we will see more home sellers who desire to move enter the competition for buyers. 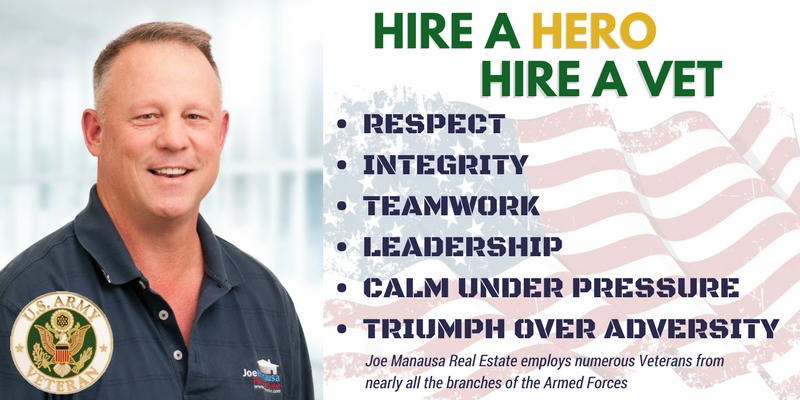 There are thousands of these homeowners who have been waiting for home values to recover who have been waiting in the wings, and 2014 will finally offer opportunity for them to get sold and gone. You might recall from a previous article on the Tallahassee Real Estate Blog that the average homeowner enjoyed a 5.6% real estate appreciation rate last year, and I suspect we will see similar numbers again this year, so long as interest rates do not surge at some crazy pace.